It's been nearly a decade in the making, but Avatar 2 is moving right along. James Cameron finally started production on the sequel to his groundbreaking, smash hit blockbuster last year. Now, we have a not-terribly-revealing, but certainly encouraging update on the status of the project from producer Jon Landau. Alita: Battle Angel, a movie that James Cameron has been working on as a producer for some time now, is coming out next month. Jon Landau is also a producer on that movie and has started making the press rounds. During a recent interview, he was asked about the status of Avatar 2 and he revealed that their latest project actually taught them some valuable lessons as the next chapter in the saga of Pandora is coming together behind the scenes. Here's what he had to say about it. "It's coming along really well, actually. What we've learned from Alita was just this intense focus on one single character performance. The amount of detail that we know we're going to have to bring to the screen for Avatar was just something that has kind of gotten a little bit higher now that we've gone through Alita... We're well into production. We've completed our performance capture with Sam [Worthington] and Zoe [Saldana] and Stephen Lang and Cliff Curtis and Sigourney Weaver and a great group of young kids. We've been capturing not just on a stage but in a 500,000 gallon water tank, below the water, above the water. Jim [Cameron] has written into the scripts all of the stuff that people would expect from an Avatar sequel. A story that completes itself, an emotional journey in a world like you've never seen." 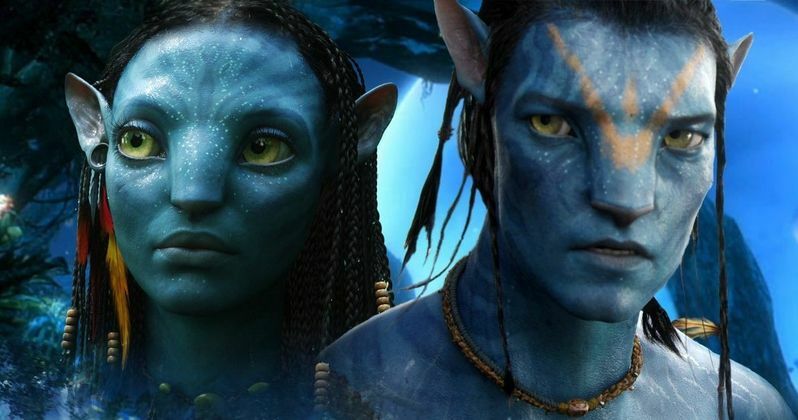 James Cameron and his crew already filmed Avatar 2 and a third installment. Ultimately, Cameron has plans for five movies in total. However, the fate of the final two movies will depend on how well the next two movies do, as Disney is getting ready to take over 20th Century Fox, with the merger of the two companies expected to be completed in the next few months. Jon Landau also touched on that prospect a bit, with nothing but positive things to say about Disney, given their previous work together on Pandora - The World of Avatar at Disney World. "If Fox made the choice to sell we're very glad it was to Disney. We've had now a six year plus relationship with Disney building Pandora, the World of Avatar in Orlando. They got to know us, we got to know them. Bob Iger is thrilled with the collaboration that we've had in creating Pandora which is the highest rated land and attractions and food service, QSR, that they've ever had. So we are looking forward to a very exciting future with Disney."